A site dedicated to technology, science and learning. It’s estimated that an average of 8 percent of all commercial rocket launches end in failure. 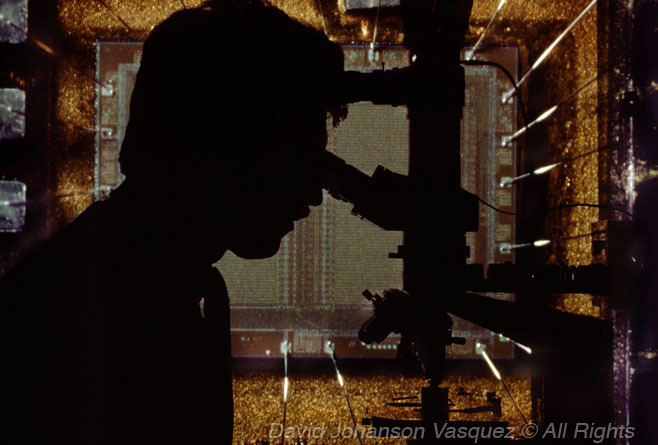 David Johanson is a multimedia specialist, CTE instructor and a former Boeing scientific photographer. All content, including photography, graphics and text (unless otherwise noted) was created by the author. The Antares 110 rocket engines roared as they illuminated their departure from Earth — seconds later, appearing as if mortally wounded, the multi-staged rocket suddenly lost momentum and sank downward, creating an explosive tower of flames. Over the launch site’s PA system an urgent command required all media personnel to leave their equipment and evacuate immediately. It was reported no deaths had occurred — however the total environmental damage, the launch site cleanup and insurance liability issues are yet to be assessed. Rocket launch projects have always had to contend with laws of physics, in particular, Newton’s law of gravity. Today, these multimillion dollar programs are governed by another set of laws involving multinational, liability space laws. These binding laws are for protecting individuals, communities and the environment from impacts caused by, man-made objects launched into space or subsequent damage of corporate or national operations in space. A photo illustration of space debris from a low Earth orbit reentering the atmosphere over a city. Earth has water covering 70% of its surface — when attempts fail to guide space debris towards open oceans, the chance for these falling objects to hit a populated area increase. Space Law assesses the liability for damages caused by space debris to the nation or agency responsible for its original rocket launch. Because so many international languages are used for creating these technical agreements — terms and meanings are often misinterpreted. There are linguistic limitations and a general lack of definitions to adequately cover all the specific space concepts and activities using Space Law. Each Nation has its own agenda and vision concerning the development of space, including corporate, cultural and religious interest, adding to the complexity of governing space. Although most large “space debris” is monitored with top priority for enabling reentry over uninhabited areas such as oceans and deserts — satellites or sections of rockets still have potential for an unexpected re-entry over an inhabited area. American physicist, Dr. Robert H. Goddard is the father of modern rocket propulsion. Goddard’s published rocket research during the 1920s, is what German military scientist used to help develop the liquid fueled V2 rocket, which terrorized Europe towards the end of WWll. The V2 (technical name Aggregat-4 or A4) rocket was the first human made artifact to leave the Earth’s atmosphere and reach into space. The basic design of modern rockets has changed little in the 100 years since Goddard was awarded a U.S. patent in 1914, for a rocket using liquid fuel. It’s estimated since the 1950s, of the nearly 8,000 rockets launched into space related missions, 8 percent of rocket launches ended in some-type of failure (2012 spacelaunchreport.com.) The resulting anomalies have cost the lives of hundreds of individuals, including; astronauts, cosmonauts and civilians, along with billions of dollars of property and payload losses. Here’s an abbreviated list of dramatic and tragic events associated with rocket launch failures. A modified V-2 rocket being launch on July 24, 1950. General Electric Company was prime contractor for the launch, Douglas Aircraft Company manufactured the second stage of the rocket & the Jet Propulsion Laboratory (JPL) had major rocket design roles & test instrumentation. This was the first launch from Cape Canaveral, Florida. 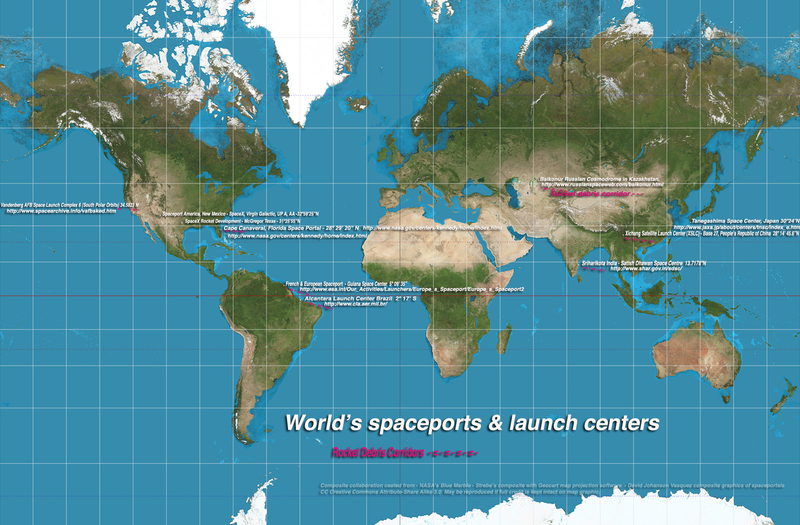 Global location & GPS coordinates of major spaceports & launch sites. Do you see any similarities in the geographic locations of these launch sites? What advantages do these locations have regarding “Space Law?” For most rocket launches, which site has the greatest geographic advantages & why; which has the least advantages & why? Rocket launch debris fields are color keyed in red & Links to space port’s web sites included. (CLICK ON MAP TO ENLARGE) Quiz ??? – 1.) Do you see any similarities in the geographic locations used for these launch sites? 2.) What advantages do these locations have regarding “Space Law?” 3.) For most rocket launches, which site has the greatest geographic advantage & why? 4.) Which has the least advantage & why? Location, location, location is a huge benefit for rocket launch sites. If you zoom into the above World map with its rocket launch sites, you’ll notice they’re located in remote, uninhabited areas. Another feature most spaceports share is their proximity to large bodies of water, which are located in an easterly direction (with the exception of the U.S. Vandenberg site.) Rockets are launched over oceans to minimize the risk to people or property from catastrophic accidents, which includes falling launch debris and toxic clouds of burnt fuel propellant. Liability from a launch vehicle is the main reason why all ships and aircraft are restricted from being in water anywhere near or underneath a rocket’s flight path. Rocket’s debris can contain highly toxic forms of unspent fuel and oxidizer, especially from solid propellant fuels. The majority of rockets are launched in an easterly direction, due to the Earth’s easterly rotation. This procedure gives the rocket extra momentum to help escape the Earth’s gravitational pull. An exception for an east directional launch is Vandenberg site in California, which launches most of its rockets south for polar orbits used by communication and mapping satellites. Launching rockets closer to the equator gives a launch vehicle one more advantage — extra velocity is gained from the Earth’s rotation near its equator. At the equator, our planet spins at a speed of 1675 kph (1040 mph,) compared to a spot near the Arctic Circle, which moves at a slower, 736 kph (457 mph.) Even the smallest advantage gained in velocity means a rocket requires less fuel ( 13 percent less fuel required for equatorial launches) to reach “escape velocity.” This fuel savings translates to a lighter launch vehicle, making the critical transition of leaving Earth’s gravitational field quicker. Part 1 of 2 editions – please check back soon for the conclusion of this essay. Potential Minefield Effects From Space Debris And The Regulatory Laws To Help Clean It Up. Will Asteroid Mining Become The Next Big Gold Rush And What Laws Will Keep The Frontier Order? Early Mars terraforming site inspected by an American first-generation colonist. Essay, eLearning program, and multimedia content by: David Anthony Johanson © All writing and photography within this program (unless indicated) was produced by the author. 1. Concern with events and trends of the future or which anticipate the future. In a forty-year period, the march towards making Mars inhabitable, astonished the most optimistic futurist. A sequence of technological events and economic opportunities (commonly known as the Third Industrial Revolution) converged seamlessly, allowing for safe and efficient journeys to the fourth planet from our Sun. Now, human life has sustained itself and is beginning to thrive on Martian soil. On Earth, three decades into the third millennium, unstable global weather patterns caused by environmental abuse to our oceans, created extreme ripple effects with appalling famines and droughts. Then, suddenly a horrific rain of fire appeared as a sequence of catastrophic meteorite strikes plagued Earth— hastening humanity’s efforts to reach for the red planet. Of all the planets in our solar system — Mars has proven the best hope as a lifeboat and as a refuge for life taking hold. Collaboration from the World’s nations, aligned rapidly to expand the colonies beyond Earth’s low-orbit. These outposts are in a stable formation at Sun-Earth Lagrangian Points: L2, L4, L5 and beyond. The various sites are used to support manufacturing, exploration and asteroid mining operations. Once established, they became “stepping-stones” towards Mars. Distant supply and launch stations are currently expanding at Sun-Mars Lagrangian points, circulating Mars. After the first three decades of daring space exploration in the late Twentieth Century, momentum was lost from lack of compelling mission. Chemical propulsion system limitations and lack of aerospace manufacturing beyond Earth’s orbit, slowed space exploration’s progress. Major superpowers lacked funding and political will to achieve great advances beyond low Earth Orbit. As the Twenty-First Century progressed, collaboration of prime aerospace companies Boeing and Space X, developed, hybrid launch vehicles to accelerate humanity’s expanded presence in space. Private commercial ventures determined a great potential existed for mining valuable resources from near Earth asteroids and the Moon. The first company to successfully begin asteroid mining were Planetary Resources, with funding provided by wealthy technology luminaries. Early in the Twenty-first Century, new advanced technological tools were developed for flexible and efficient manufacturing. After revolutionary 3-D printing operations took hold in space, opportunities expanded rapidly to develop massive infrastructure beyond Earth’s orbit. Three-D printing devices made prefabrication of immense living and working sites possible on the Moon and various stationary points well beyond Earth’s gravitational influence. As the population of human enterprises rapidly expanded into deep space, exploration of Mars became practical and irresistible. Using a spectrum of cybernetic applications, including artificial intelligences (AI), atomically precise manufacturing (APM) and 3-D printing provided cost-effective infrastructure manufacturing to expand beyond Earth’s low orbit. The network of space station developments offers a growing population of skilled aerospace workers — dynamic living and work environments. Molecular nanotechnology (MNT) produces an endless variety of manufactured goods for the inhabitants of interplanetary space. As the initial space stations quickly expanded and connected to one another, they became known as “Island Stations.” Adopting interplanetary codes for infrastructure support commonality is maintained for all inhabitants and guest visits by the National Aeronautics and Space Administration (NASA) and European Space Agency (ESA). A network of stepping stone islands, which initially were used to extend the reach of asteroid mining operations from stable points beyond a low Earth orbit, is essential for colonizing Mars. Approximately 10 million miles from Earth, a network of station islands is positioned as a gateway point to Mars. These station networks are mutually protected from solar storms/flares by their own artificial magnetosphere. 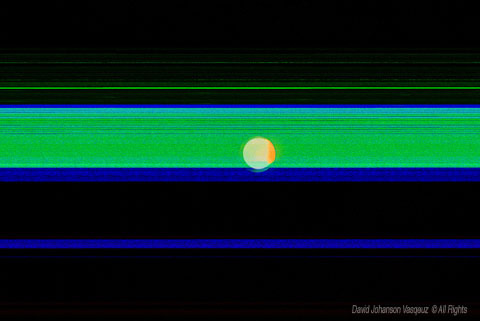 Earth (blue dot) and its moon can be seen near the upper-center part of the photo. break down DNA and lead to cancer. A magnetic coil shield system allows space craft protection from most harmful radiation by creating its own magnetosphere. This shielding system harnesses for universal applications to protect space station populations, inner planetary travelers and Martian colonies. A high energy accelerator was developed on Mars using spectrums of solar energy to recreate a magnetic field to help produce a sustainable atmosphere. An electromagnetic propulsion cargo ship as it begins entering a high energy state. Electromagnetic propulsion “asteroid lifter” encounters solar wind storm. Evolutionary biology has provided advantages to meet the challenges of human travel into deep space. The first generation of genetically modified humans was created to limit the effects and risk from extended space travel. Microchip circuitry imbedded into tissue, gave humans expanded capabilities to assure space survivability, productivity, and flight operations. To combat muscle degradation from zero gravity-exposure, contractile protein levels were increased in muscle tissue. To survive solar radiation effects, early Mar’s settlers lived bellow the planet’s regolith (soil). Within less than a decade, the colonies developed their own localized magnetosphere, which became encapsulated environments within translucent domes — creating an atmospheric oasis. These aerodynamic structures offer shielding from dust storms and subzero temperatures. Now, an enriched quality of life on Mars includes ever-expanding domains of Earth like atmosphere for expanded development and life above the surface of the red planet. Meteor showers streaming above craters and cliffs during a Martian sunrise. Massive mirrors are fixed in orbit above Mars for reflecting warmth back onto its surface, to provide a more temperate climate. Reflected light directed at Martian polar ice caps and its Carbon dioxide atmosphere of CO2 helps to keep thermal energy near the planet’s surface. As a result, a thermal runaway greenhouse effect is created to help build a thicker atmosphere. Release of microorganisms on the red the planet dramatically accelerates production, for intensifying greenhouse gas expansion. Directing small asteroids with rich concentrations of ammonia to impact nitrate beds on Mars, releases high volumes of oxygen and nitrogen. These highly controlled asteroid strikes are providing substantial positive results to help develop an enriched atmosphere. Nanotechnology is now employed on the surface of Mars and is dramatically altering landscape regions within various craters. Genetically modified plant forms are successfully taking hold and surviving some test environments. In conclusion, all of these achievements are creating a more Earth like climate, for efforts to terraform Mars. Self replicating machines using APM manufacturing allow infrastructure to develop at astonishing rates on the red planet. New scientific, engineering and mining communities are establishing themselves rapidly as they descend from orbiting stations and stationary platforms above the planet. The current population on Mars has surpassed 40,000 inhabitants and is projected to double within the next five-years. The form of governance adopted by the colonies on Mars is based on a nonpolitical and international form of cooperation. Asteroid mining and APM manufacturing are the largest industries associated with the Mars colonies. Martian colonists celebration party for “Pioneer Days.” Martian sunset seen in the background, behind a massive protective atmospheric shield. Found only days ago in the Antoniadi Crater region, is evidence of a fossil and what appears to be human like footprints. Although this discovery may revolutionize our view of the red planet — we must wait for the samples to arrive on Earth to confirm what could be one of the greatest discoveries of all time. Perchance, the most fascinating evidence of preexisting intelligence of life on Mars, was discovered near the Antoniadi Crater. Enclosed within a geographic site is a source, which is emitting peculiar magnetic fields. Upon further analysis revealed, distinct patterns of what appears as a mysterious complex digital codex. After extensive review and evaluation using a network of 2020 Enigma Genisus Computing system interpreted it as audible, instrumental sounds accompanied by visual projections of humanoid syncopated movements. Martian moonlight illuminates sculpted cliffs, as “Vesta II” (logistics platform) enters view —piercing the night sky with solar light reflecting off its West-East orbital path. One day on Mars = 24 hours 37 minutes and 22 seconds. One year on Mars = 686.98 Earth days. Average distance from Earth to Mars = 225 million kilometers. The minimum distance from Earth to Mars = 54. million km. The farthest distance from Earth to Mars = 401 million km. Is Space Law Really That Far Over Your Head? Students and instructors are encouraged to use the visual cues imbedded within the text to quickly locate key information. Look upwards toward the sky on the next clear day or cloudless night and behold the new legal frontier unfold before your eyes. A mere 65 miles above sea-level, our atmosphere and gravity dwindles into space, where satellites begin to glide silently over Earth’s thin atmosphere. 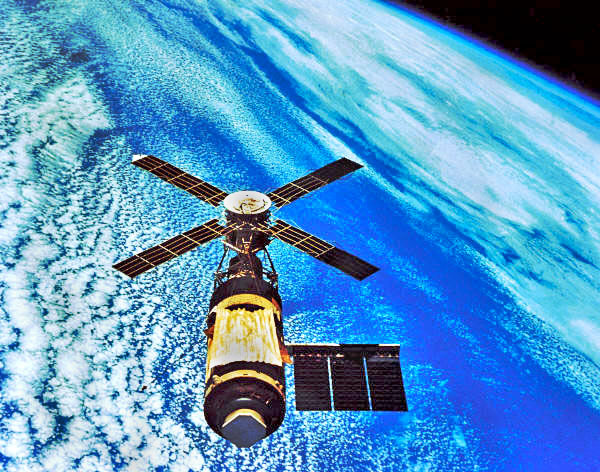 Only a fraction of human history has passed since man-made satellites were far and few between — but that time has since slipped away, replaced by an ever tightening metal jacket of used and disregarded, celestial artifacts. Almost at the start of the space race, “Space Law” was launched and it has had an uphill battle to catchup with the unforeseen consequences of humanity’s reach for the heavens. The German V-2 rocket was a sophisticated liquid propellant rocket, which first entered outer-space in 1942. At times, defining what Space Law is or does is a nebulous task. This new form of law can be so abstract and full of contradictions that it resembles an art, rather than a science. Like creating a massive sculpture, it’s often a process which involves slow progress — developing overtime through stages of careful analysis and discernment. Space Law will continue to transform itself by maturing, developing refinements and taking on new, dimensions as needed. There are basically three forms of law, which make up Space Law: 1.) Regulatory Law – sets standards which must be met for securing authority to launch a rocket vehicle. 2.) Tort Law – concerns damages which occur as a result of debris from rocket launch accidents or space and terrestrial impacts from orbital debris. 3.) Common Law – could be applied to circumstances relating to a private entity’s negligence, which causes damage from its orbital debris. Back To Rocket Science Basics. The V-2 was a sophisticated liquid propellant, single stage rocket, which had a top speed of 5,760 km/h (3,580 mph) and could reach an altitude of 83 to 93 km (52 to 60 miles.) At the end of the war, the Americans, British and Russians took possession of all remaining V-2 rockets, along with German engineers, technicians and scientists working on the program. A high priority was placed on researching its capabilities, re-engineering and developing it for national security. — The Paul Allen Flying Heritage Museum, located at Paine Field, Everett, WA, recently added an authentic V2 rocket for display. American scientists, James Van Allen and Sydney Chapman were able to convince the U.S. Government of the scientific value for launching rockets carrying satellites into space. A scientific effort in the early 1950s was begun, with the plan to launch American satellites by 1957 or 1958. The Russians surprised the World by launching the first satellite into orbit in 1957 named Sputnik. What Goes Up, Must Come Down. Rocket launch programs have always had to contend with Newton’s law of gravity, today, these programs face new challenges with liability laws, to protect individuals and property from unexpected accidents. A photo illustration of space debris from a low Earth orbit reentering the atmosphere over a city. Earth has water covering 70% of its surface — when attempts fail to guide space debris towards open oceans, the chance for these falling objects to hit a populated area increase. Space Law sets the liability for damages caused by the space debris to the nation or agency responsible for its original rocket launch. Because so many languages are involved with these international agreements, terms used in Space Law often gets lost in translation. There are linguistic limitations and general lack of necessary definitions to adequately cover specific space concepts and activities using Space Law. Each Nation has its own agenda and vision concerning the development of space — then throw in multinational companies and things get really diluted when it comes to working out agreements regarding laws governing space. Although most large “space debris” is monitored and great efforts are made for reentry to take place over uninhabited areas – satellites or sections of rockets can potentially fall anywhere. Cuba Gives A New Meaning To A Cash Cow. Dramatic Rocket Launch Failures Associated With Space Exploration. It’s estimated since the 1950s, of the nearly 8,000 rockets launched for space related missions, 8 % of rocket launches ended in failure (2012 spacelaunchreport.com.) The resulting anomalies have cost the lives of hundreds of astronauts, cosmonauts and civilians along with billions of dollars in losses. Here’s an abbreviated list of dramatic and tragic events associated with rocket launch failures. Vanguard TV3, December 9, 1957 launched from Cape Canaveral, Florida (U.S.) was the first U.S. attempt at sending a satellite into orbit. A first event of its kind to use a live televised broadcast, which ended by witnessing Vanguard’s explosive failure. Unfortunately this launch was a rush reaction to the Soviet Union’s surprise success of launching the world’s first satellite, Sputnik, on October 23, 1957. Challenger STS-51-L Space Shuttle disaster, January 28, 1986, launched from Kennedy Space Center (U.S.) marked the first U.S. in-flight fatalities. After only 73 seconds from lift-off, faulty O-ring seals failed, releasing hot gases from the solid propellant rocket booster (SRB), which led to a catastrophic failure. Seven crew members were lost, including Christy McAullife, selected by NASA’s Teacher in Space Program. McAullife was the first civilian to be trained as an astronaut — she would have been the first civilian to enter space, but tragically, the flight ended a short distance before reaching the edge of space. Recovery efforts for Challenger were the most expensive of any rocket launch disaster to date. Titan 4, rocket launch – August 1998, Cape Canaveral (U.S.) the last launch of a Titan rocket – with a military, top-secret satellite payload, was the most expensive rocket disaster to date – estimated loss of $ 1.3 Billion dollars. VLS-3 rocket, launch – August 2003, Alcantara (Brazil) – rocket exploded on launch pad when the rocket booster was accidentally initiated during test 72 hours before its scheduled launch. Reports of at least 21 people were killed at the site. Global location, GPS coordinates of major spaceports & launch sites. Rocket launch debris fields indicated & Links to space port’s web sites included. (CLICK ON MAP TO ENLARGE) Quiz ??? – 1.) Do you see any similarities in the geographic locations used for these launch sites? 2.) What advantages do these locations have regarding “Space Law?” 3.) For most rocket launches, which site has the greatest geographic advantage & why 4.) which has the least advantage & why? Location, Location, Location Benefits Rocket Launch Sites. If you zoom into the above World map with its rocket launch sites, you’ll notice all the locations gravitate toward remote regions. Another feature most spaceports share is large bodies of water located to the east, with the exception of the U.S. Vandenberg site. Less likely hood of people or property being threaten by a rocket launch, which could experience a catastrophic failure is why oceans are used as a safety barrier. Legal liability from a launch vehicle is a reason why all ships and aircraft are restricted from being anywhere near a rockets flight path. The rocket debris fields are marked with red highlights, this fallen debris is a highly toxic form of unspent fuel and oxidizers. Most rockets are launched towards an easterly direction due to the Earth’s eastern rotation, which aids the rocket with extra momentum. An exception for an east directional launch is Vandenberg site in California, which launches most of its rockets south for polar orbits used by communication and mapping satellites. Launching rockets closer to the equator gives a launch vehicle one more advantage — extra velocity gained from the Earth’s rotation near its equator. At the equator, our planet spins at a speed of 1675 kph (1040 mph,) compared to a spot near the Arctic Circle, which moves at a slower, 736 kph (457 mph.) Even the smallest advantage gained in velocity means a rocket requires less fuel to reach “escape velocity.” This fuel savings translates to a lighter launch vehicle, making the critical transition of leaving Earth’s gravitational field quicker. Links And Resources For Space Law And Related Issues. Photo illustration of space debris by: David Johanson Vasquez, using a NASA photo of Skylab. Who Were the Titans of Telecommunication and Information Technology? — Inventions are rarely the result of just one individual’s work— but are created through collective efforts overtime, from several individual’s observations, theories and experiments. Benjamin Franklin’s role in demystifying electricity, Michael Faraday’s discovery of “induced” current, Nikola Tesla and Guglielmo Marconi’s wireless radio communication… are just a few of the technology pioneers responsible for developing modern telecommunications. I regret not having the resources for this essay’s inclusion of all men and women, whose’ discoveries made telecommunication and information technology possible. Telecommunications took its first infant steps as the industrial revolution was rapidly compressing concepts of time and space. The first half of the 19Th Century witnessed modern societies using steam locomotive trains for mass transit and electronic communication through telegraph technology. Steamships shrunk the world by delivering capital goods, raw resources and people to remote locations within fractions of the time it took before. With the industrial revolution nearing its peak at the close of the century, a new communication, innovation was developed, which helped transform the modern age into a postmodern era. 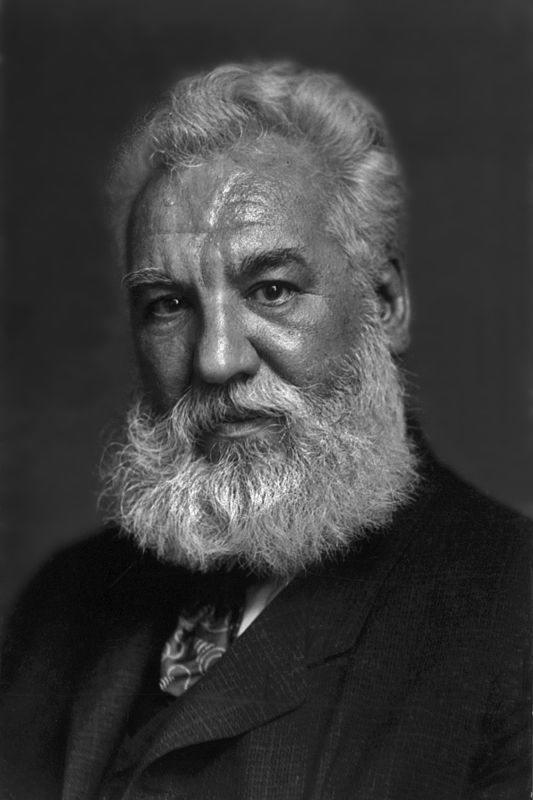 Inventor, Alexander Graham Bell’s Washington D.C. company, which developed the telephone, eventually evolved into a prime research laboratory. His vision for a R&D lab, created a foundation for the digital technologies of today. In the following century, another key, R&D technology titan— Xerox PARC enters the stage, which helps to set in motion personal computing and expand the information technology revolution. The steamship S.S. 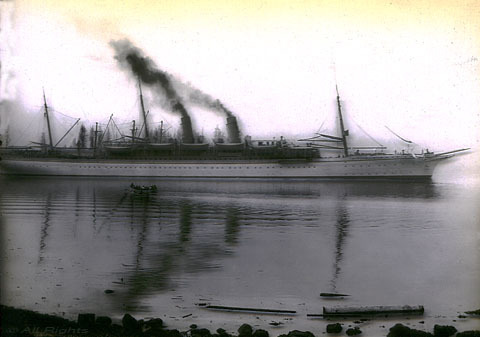 Empress of India near Vancouver B.C. A French, visionary government in 1880, recognized the importance of Alexander Bell’s invention, and awarded him the Volta Prize. 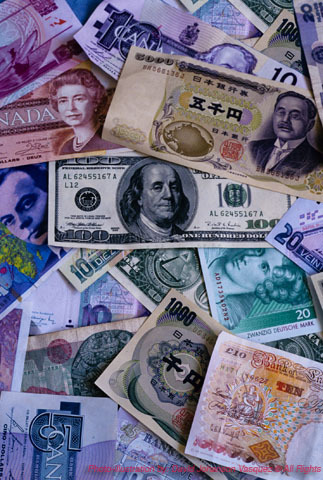 A sum of 50,000 francs or roughly, $250,000 in today’s currency came with the honor. 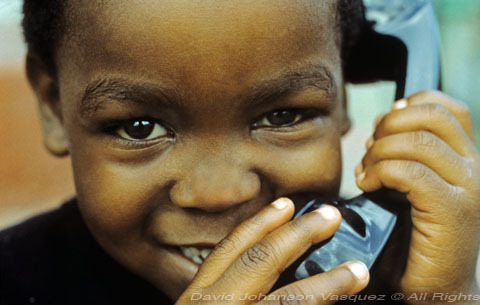 The funds were reinvested into research for use in education to enable knowledge on deafness. Growing investments to fund the creation of Bell Telephone Company on March 20, 1880 allowed for expanded research on recording and transmission of sound. The telegraph and telephone were the first forms of electricity, point-to-point telecommunications and qualify as early versions of social media platforms. Over time, phone service, convenience and quality have steadily improved. In my youth during the early 1960s, I spent summers visiting relatives with farms in Wisconsin who had phones connected on “party lines” (several phone subscribers on one circuit). When picking up a phone connected with a party line, your neighbor might be having a conversation in progress. 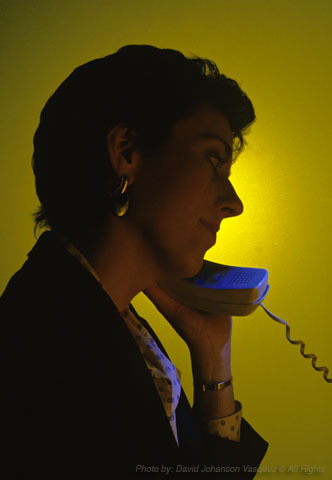 If a conversation was taking place you could politely interrupt and request to use the phone for urgent business. Today, phone service has become so advanced that it is taken for granted as a form of personal utility. In 1925, Bell Telephone Laboratories were created from the merger of the engineering department of American Telephone & Telegraph (AT&T) and Western Electric Research Laboratories. Ownership of the labs was shared evenly between the two companies; in return, Bell Laboratories provided design and technical support for Western Electric’s telephone infrastructure used by the Bell System. Bell Labs completed the symbiotic relationship for the phone companies by writing and maintaining a full-spectrum of technical manuals known as Bell System Practices (BSP). Bell Laboratories instantly began developing and demonstrating for the first time, telecommunication technology, which we now depend on for economic growth and to hold our social fabric together. Bell accomplished the first transmitting of a long-distance, 128-line television images from New York to Washington, D.C. in 1927. 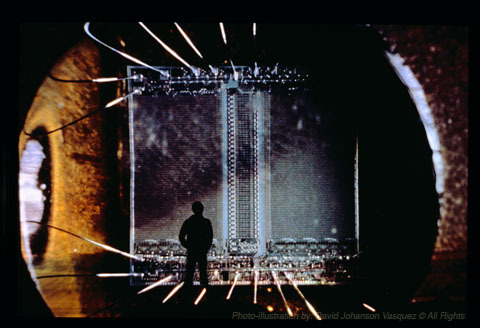 This remarkable event ushered in television broadcast, creating a new form of mass-multimedia. Now people could gather together in the comfort of their homes and witness… live news reports, hours of entertainment and product advertisements, which helped to stimulate consumer spending in a growing economy. Radio astronomy’s powerful space exploratory telescope, was developed through research conducted by Karl Jansky in 1931. During this decade, Bell lab’s George Paget Thomson was awarded the Nobel Prize in physics for his discovery of electron diffraction, which was a key factor for solid-state. An important component of renewable energy is the photovoltaic cell, which was developed in the lab during the 1940s by Russell Ohl. A majority of the United States’ statistician superstars, such as W. Edwards Deming, Harold F. Dodge, George Edwards, Paul Olmstead and Mary N. Torrey all came from Bell Labs Quality Assurance Department. 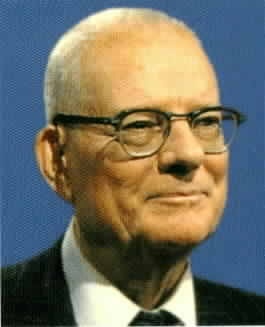 W. Edwards Deming’s genius would later go on to help revitalize Japan’s industry and be used in Ford Motors’ successful, quality control initiatives in the 1980s. 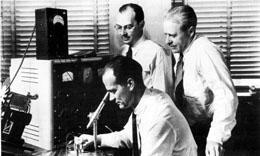 Perhaps Bell Laboratories most marvelous invention was the transistor invented on December 16, 1947. Transistors are at the heart of just about all electrical devices you’ll use today. 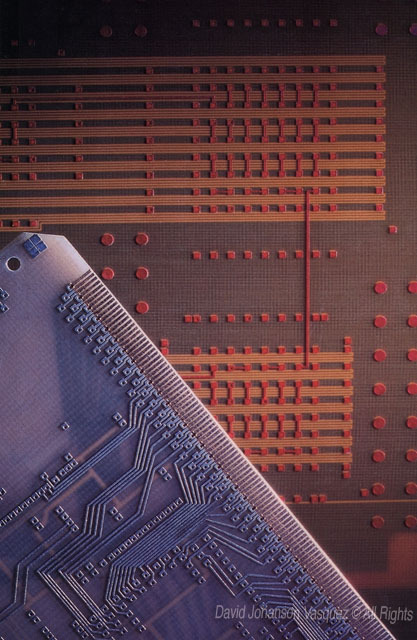 These crucial artifacts transformed the electronics industry, by miniaturizing multiple electronic components used in an ever-expanding array of products and technical applications. 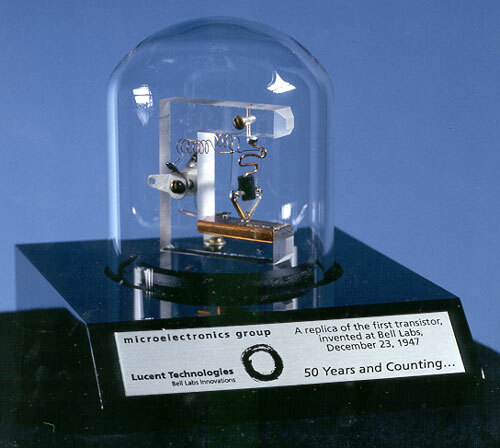 Transistor efficiencies also greatly reduced the amount of heat in electronic devices, while improving overall reliability compared to fragile vacuum tube components. Once more, the labs’ select team of scientists was rewarded with the Nobel Prize in Physics, for essential components of telecommunications. The mobile-phone was also created in 1947, with the labs’ commercial launch of Mobile Telephone Service (MTS) for use in automobiles. Some 20 years later, cell phone technology was developed at Bell and went on to become the ubiquitous form of communication it is today. 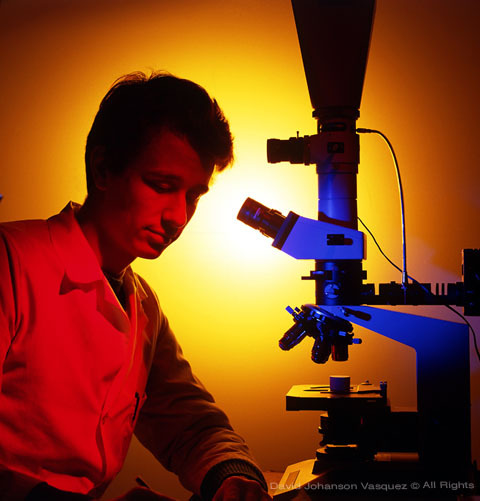 In 1954 the labs began to harness the sun’s potential, by creating the world’s first modern solar cell. The laser (Light Amplification by Stimulated Emission of Radiation) was dated in a 1958 Bell Lab, publication. The laser’s growing spectrum of applications includes — communications, medicine and consumer electronics. 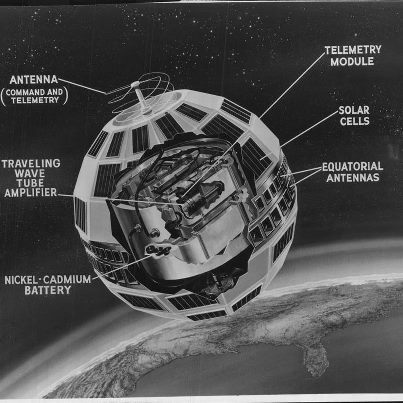 In 1962, Bell Labs pioneered satellite communications with the launch of Telstar 1, the world’s first orbiting communication satellite. 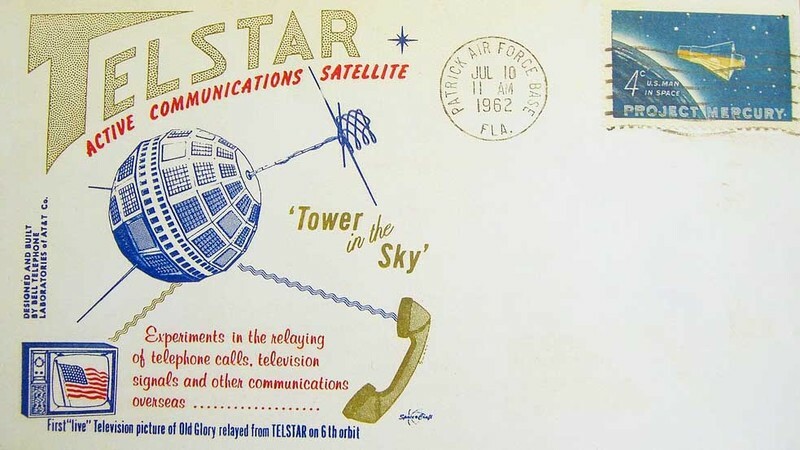 Telstar enabled virtually instant telephone calls to be bounced from coast to coast and all over the world. This development unified global communications and provided instant 24 – hour news coverage. Bell Labs introduced the replacement of rotary dialing with touch-tone in 1963, this improvement vastly expanded telephone services with — 911 emergency response, voice mail and call service capabilities. It’s been greatly underreported that Unix operating system, C and C++ programing languages, essential for use in Information Technology (IT), were all created within Bell Labs. These crucial computer developments were established between 1969 -1972, while C++ came later in the early 1980s. C programing was a breakthrough as a streamlined and flexible form of computer coding, making it one of the most widely used in today’s programing languages. Unix enabled comprehensive networking of diverse computing systems, providing for the internet’s dynamic foundation. Increasingly, Bell Laboratories inventions were transforming and expanding the frontiers of micro-computing, which helped to make personal computing possible. In 1980, Bell Labs tested the first single-chip 32-bit microprocessor, enabling personal computers to handle complex multimedia applications. A major corporate restructure of AT&T, the parent company of Bell Laboratories, was ordered by the U.S. Federal government in 1985, to split-up its subsidiaries as part of a divestiture agreement. This event proved to be an example of over regulation, which severed important links for funding technology R&D projects. Although AT&T previously had an economic advantage with a monopoly in the telephone industry, it allowed for necessary funding of Bell R&D labs. Indirectly, U.S. tax payers made one of the best investments by subsidizing the foundation for our current telecommunication and information technology infrastructure. AT&T Bell Laboratories became AT&T Labs official new name in 1996, when it became part of Lucent Technologies. 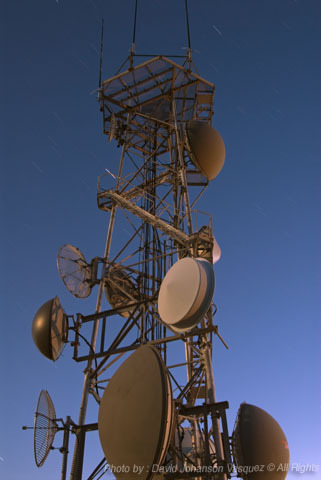 Since 1996, AT&T Labs have been awarded over 2000 patents and has introduced hundreds of new products. In 2007, Lucent Bell and Alcatel Research merged into one organization under the name Bell Laboratories. Currently, the Labs’ purpose is directed away from scientific discovery and focussed on enhancing existing technology, which is intended to yield higher financial returns. Pause & Reflect: Questions for continuous learning part 1. 1.) What were the first forms of electrical, point-to-point telecommunications? 2.) 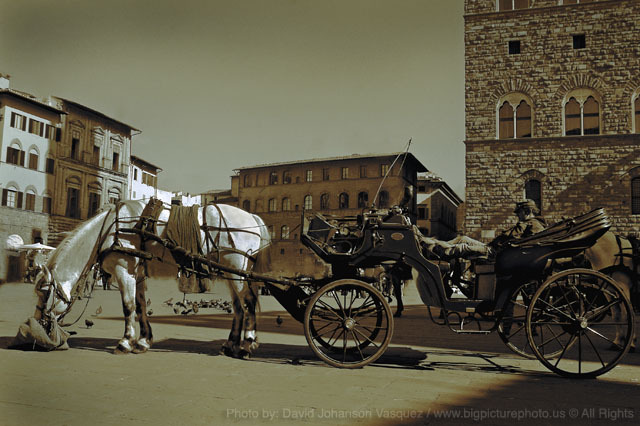 What revolution was taking place when early forms of telecommunications were invented and name at least two technology innovations? 3.) Define the word technology? 5.) Who founded Bell Research and Development Labs? 7.) Name at least two developments which Bell Labs were awarded Nobel Prizes in? 6.) Pick one Bell Lab invention, which you believe was most important for helping develop modern telecommunications or personal computing. In the first half of the 20TH Century, Bell Labs’ dazzling R&D creations aligned seamlessly to establish a solid foundation for telecommunications. Most of the Labs’ bold research had been conducted in the industrialized, Eastern portion of the United States. By the 1950s, new developments and evolving industries on the West Coast were benefiting from Bell’s technological inventions. Palo Alto’s, Stanford University research facilities, south of San Francisco, acted as a magnet for pulling in corporate transplants— most notably IBM, General Electric and Eastman Kodak. In 1970, XEROX Corporation of Rochester, New York established a research center known as—Xerox PARC (Palo Alto Research Center Incorporated). PARC’s impact in R&D would soon be felt, acting as a stimulating catalyst for personal computing and information technology development. Jack Goldman, Chief Scientist at Xerox enlisted physicist Dr. George Pake, a specialist in nuclear magnetic resonance to help establish a new Xerox research center. Selecting the Palo Alto location gave the scientist greater independence and freedom than was possible near its Rochester headquarters. 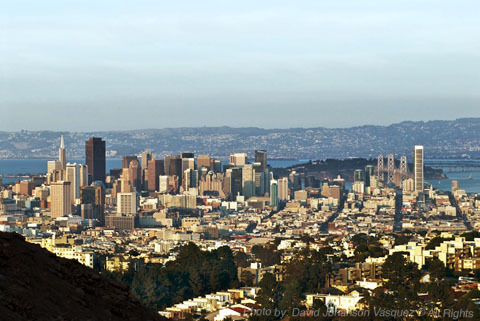 The location also provided huge resource opportunities for selecting talent pools of leading engineers and scientist from the numerous research centers located in the Bay Area. Once the West-Coast lab had a foothold, it became a sanctuary for the company’s creative misfits— passionate science engineers who were determined to create boldly. One of the few downsides for the new facility’s location was—less opportunities for lobbying and promoting critical breakthrough developments to top management located a continent away. XEROX PARC had an inspiring creative influence, along with universal appeal, which attracted international visitors. A collaborative, open atmosphere helps to define the creative legacy of PARC. The cross-pollination of ideas and published research between the R&D facility and Stanford’s computer science community, pushed digital innovation towards new thresholds. XEROX PARC, discovered a target rich environment of ideas from Douglas Engelbart, who worked at Stanford Research Institute (SRI) in Menlo Park. Engelbart gave the Mother of all personal computing presentations in December of 1968, — astonishing the computer science audience with a remarkable debut of: the computer mouse, hyper text, email, video conferencing and much more. Bitmap graphic, graphical user interface (GUI), which provides window like graphic features and icon objects — are just a few of the revolutionary concepts developed at PARC for personal computing. The list of PC innovations and developments continues with laser printers, WYSIWYG text editor, InterPress (prototype of Postscript) and Ethernet as a local-area computer network — inspiring PARC Universal Packet architecture, which resembles today’s internet. Optical disc technologies and the LCD, were developed by PARC material scientist adding yet more to its diverse technology portfolio. 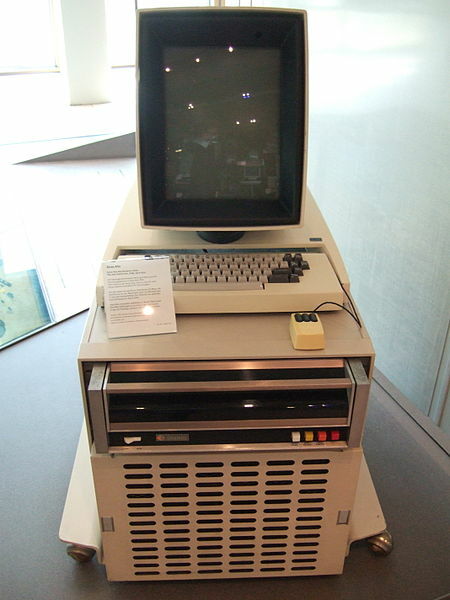 Xerox PARC’s R&D, efficiently blended these vital new technologies and leveraged it all into a personal computer, workstation, called “Alto.” The futuristic Alto, was light-years ahead of its 1973 debut—bundled with a dynamic utility including: a mouse, graphical user interface and the connectivity of Ethernet. Interest in this revolutionary PC wonder kept expanding as countless demonstrations were given to the legions of intrigue individuals. The increasing demand for witnessing the power of PC computing was telegraphing the need for a new consumer market. For the first time, a “desktop sized computer” could match the capabilities of a full-service print shop. Advance technology always comes with a hefty price tag, and the Alto was no exception, making it beyond reach of most consumers. Despite a high price-point — prestige and enthusiasm for Alto grew — as did admiration for the bold new world of Apple Computers and of its superstar founder — Steve Jobs. Xerox Alto -1973 Was this the apple in Steve Job’s eye? It certainly was the first personal computer, which included most of the graphic interface features we recognize today. By 1979, Apple was beginning to advance its own user-friendly interfaces with the development of the Lisa and Macintosh personal computers. Both products featured screens with multiple fonts, using bitmap screens for blending graphics and text. There were Apple graphics engineers associated with Xerox PARC — either through former employment or in connection with Stanford University. 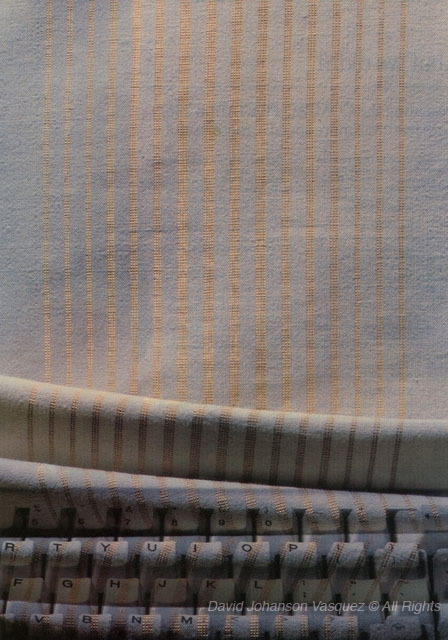 Apple engineers aware of advances made in graphic interfaces with PARC’s ALTO, prompted Steve Jobs to have a parlay with PARC. In late 1979, Steve Jobs with his Apple engineering entourage arrived to view an AlTO demonstration at Xerox’s facilities. The meeting’s outcome proved Jobs’ was a master of showmanship and marketing JudeJitsu by not disclosing a previously negotiated, sizable investment from Xerox’s venture capital group. Gravitational forces began shifting in favor of Steve Jobs and Apple Computer to capitalize on the market potential for personal computing. PARC computer engineers and scientist clearly understood the economic potential of an information business they help build… but Xerox top executives certainly did not. Xerox had a history of dominating the lucrative copy machine market — it was the business model corporate decision makers were comfortable with and they would not risk venturing very far from. Most of PARC’s personal computing developments experienced the same frustrating fate of withering on the vine — allowing for lucrative opportunities to go for bargain rates to new companies like Apple Computers. Apple’s alchemy of — perfect timing, creative talent and visionary insight quickly aligned towards harnessing information technology products for an emerging market convergence. The creative inspiration and marketing savvy, which Steve Jobs’ applied towards personal computing—created seismic ripple effects, which we’re still experiencing today. Recently, there’s been a handful of media and tech industry critics, siting undeserved shortcomings of Bell Labs and Xerox PARC. Too often, corporate R&D labs are faulted for not fully marketing their technology developments or capitalizing on scientific inventions. Rarely mentioned is the research & development lab’s purpose or mission of innovation, which is directed by the parent company’s strategic goals. Failing to understand the reality of this relationship, detracts from the technological importance and diminishes the accomplishments of these remarkable engineers and scientists. Lost in the critics hindsight, is the titanic obstacles facing the marketing, manufacturing and distribution of innovative products. Thrilling technical breakthroughs are what grab headlines — rarely are the successful efforts of corporate marketing or brilliant production logistics recognized or mentioned. It’s a disconnect to judge a R&D’ lab’s success completely on the financial returns of its inventions. The laser printer’s success, in particular, should erase the myth that Xerox PARC miss-managed all of its developments. Gary Starkweather, a brilliant optical engineer for Xerox PARC, developed the laser printer. Starkweather had pitched battles with Xerox management over promoting the laser printer, but eventually he triumphed and the laser printer went on to earn billions of dollars — enough to repay the investment cost of Xerox PARC several times over. Eventually Starkweather sensibly moved on to greater opportunities when Steve Jobs offered him a job in Cupertino. Brilliant R&D technology, requires an equally creative or open-minded group of executives for converting technology innovation into a marketable product. These decision makers must maintain iron-wills and courage to shepherd the technology product through its entire volatile development process. IBM’s iconic 305 RAMAC, the first commercial ‘super computer,’ is a classic example of a product development challenge. Introduced in 1956, the RAMAC featured a hard disk drive (HDD) and stored a — whopping five megabytes of data. Apparently, the HDD storage capacity could’ve been expanded well beyond the 5MB, but was not attempted because — IBM’s marketing department didn’t believe they could sell a computer with more storage. 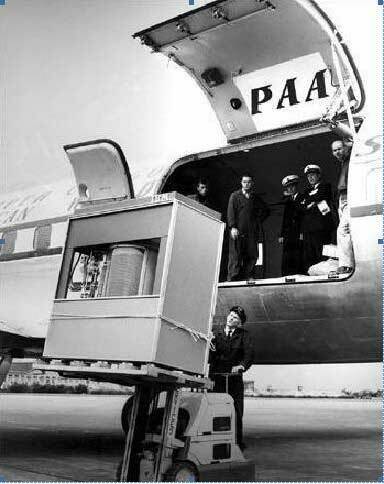 IBM 305 RAMAC — first commercial computer to use a hard disk drive in 1956. R&D Labs take creative risk in developing new ideas, most of these developments won’t make it to market, but that’s the price of creativity. Using intuition for taking risks and knowing some failure is necessary to pave the road toward successful discoveries — builds confidence in trusting one’s creative resources. So often, the creative-process is misunderstood and undervalued in our society’s perceived need for instant control and results. In the past, I’ve personally witnessed this attitude reflected in our educational system, however the viewpoint is progressively shifting to realize the value of the creative-process. Steve Jobs and Apple Computers are a good illustration of a company, which traditionally emphasized and embraced the creative spirit. Creative employees are considered the most valued resource at Apple as they are encouraged to nurture their creative uniqueness. Shortsighted emphasis on quarterly results, which has affected most of American business culture, is refreshingly absent from Apple’s overall mindset, allowing for more sustained and successful business initiatives. The era of industrial, ‘closed inventive’ research & development labs — have faded into the background of yesterday’s business culture. Internal silos, once the proprietary norm, have been day-lighted to allow fresh ideas and collaborative efforts to circulate. For the past 10 years, corporations have steadily reversed their long-term, pure scientific research in favor of efforts towards quicker commercial returns. In 2011, Intel Corporation, dropped its ’boutique’ research ‘lablets‘ in Seattle, Berkeley and Pittsburgh — opting for academic research to be conducted at university facilities. Intel continues to maintain its more profit oriented Intel Labs. This industry strategy repeatedly cloned itself within the corporate research world, as it is far easier to realize a profit from innovation than it is from pure invention. Pause & Reflect: Questions for continuous learning – part 2. 1.) Name the parent company (based in Rochester New York) and its research and development lab, which moved into California’s Bay Area in 1970? 2.) What was the product (used for duplicating documents), which this New York based company had made its fame and fortune on? 3.) Give at least two reasons why this R&D lab was so inventive? 4.) What stop the lab’s parent company, which developed the first commercialized personal computer from realizing more profits from its inventions? 5.) What was the name of both the young, iconic tech entrepreneur and his company (named after a red fruit) who was able to creatively use and market early Silicone Valley PC innovations? 6.) What’s the difference between invention and innovation? 7.) In your opinion, who were the top 10 inventors of all time and how did they make your top 10? My photo wingman, Rick Wong and I headed into the heart of darkness in quest of the Perseid meteor showers. Mount Rainier National Park—was our ultimate destination. We chose the iconic, volcanic landmark for framing an infinite field of stars, which we believed was far from the glare of city lights. Traveling at night in Rick’s new Ford Fusion, using the hybrid’s voice recognition, made it easy to arrive at the park without using a map. Reaching our destination, luminous sparkling stars lit up the still night, but we were surprised with some uninvited competition, which nearly stole the show. 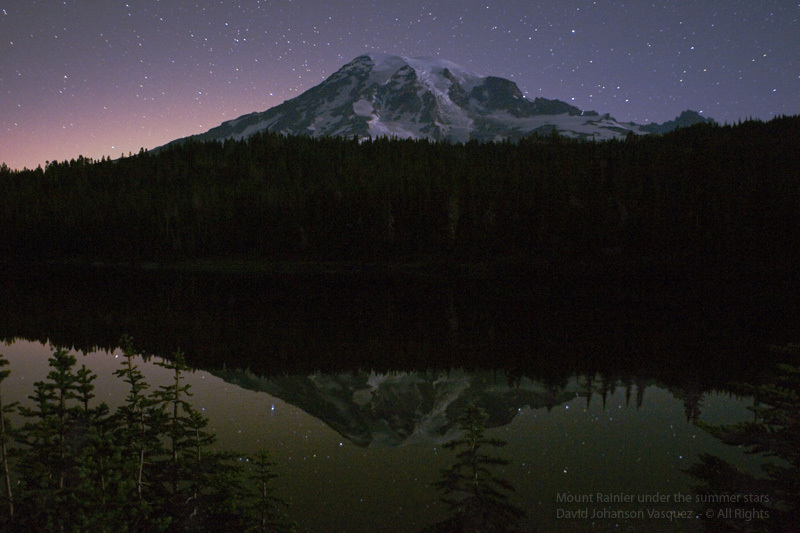 A stunning view of Mount Rainier reflected in Reflection Lake, with the summer stars overhead. 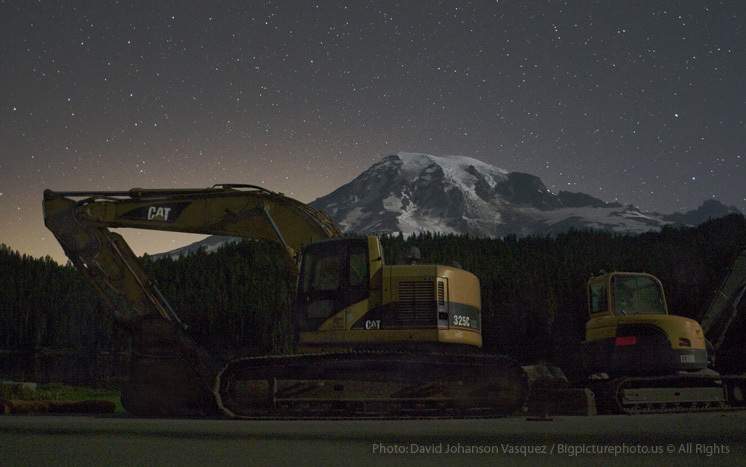 The pink and orange glow on the left side of the mountain is light pollution emitted from the City of Tacoma, approximately 65 miles northwest. We found an ideal location above Reflection lake, with the Cascade Mountains’ most famous stratovolcano in the background. An unexpected warm light was glowing behind Mount Rainier, which I reasoned, was a faint remnant from the earlier sunset. However, the sun had set at least four hours earlier, so it couldn’t be the source of the illumination. 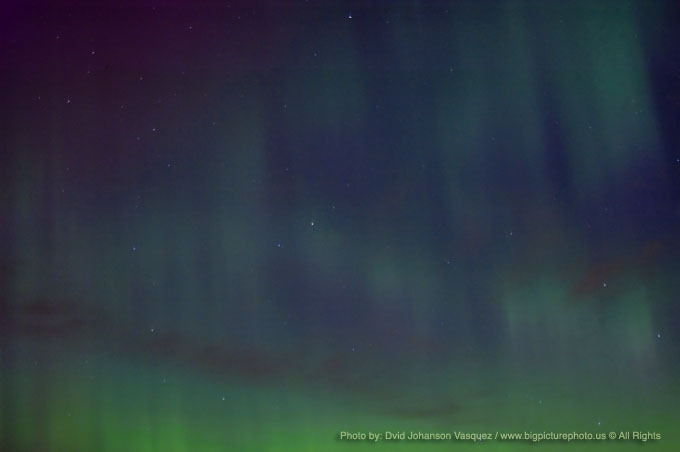 Rick suggested “its light coming from the City of Tacoma,” located about 65 miles away. During a 20-second long exposures used to take images of the snow-capped mountain, I began thinking about the effects caused by light pollution. With a bright moon rising, we worked fast to keep up with the changing light, until its intensity eventually overpowered the stars. With the moon steadily rising behind us, it too was causing us to shift focus on what to photograph. Like a giant diffuse reflector, the moon projected soft filtered sunlight onto a previously dark, formless landscape. 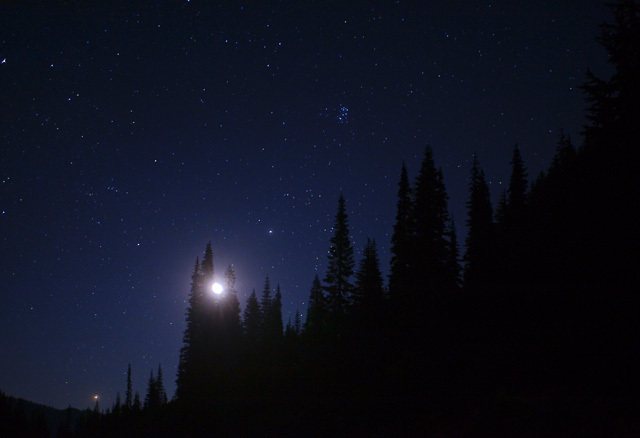 As the moonlight overwhelmed the intensity of the starlight, it removed the opportunity for crystal clear views of the Milky Way, as well as faint meteor sightings. Being photo opportunist, we used the moonlight opportunity to reveal shadow-detail on the south face of Rainier. 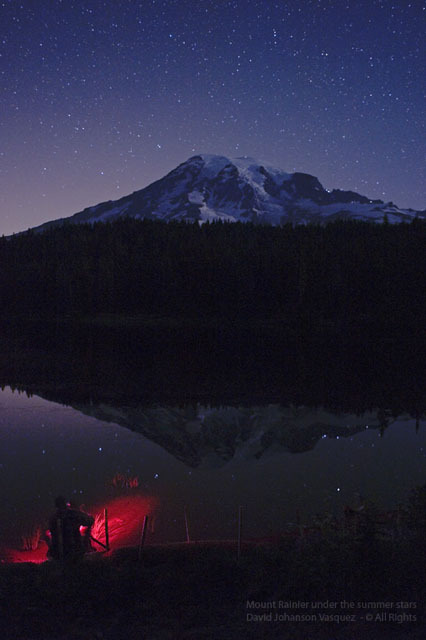 The photographer appears in the dark, like some sorcerer conjuring an intense red light before Mount Rainier and her crown of stars above. There’s a tranquil feeling while in the process of taking long exposures at night; it’s normally quiet with minimal distractions to overwhelm the senses or interrupt your focus. I personally enjoy these rare opportunities of solitude, to visualize an image using a minimal—Zen like perspective. Distractions can be disruptive during these in-the-now-moments, as when cars coming around corners with intense, high-beam headlights. More than once, clusters of cars with high beam lights appeared… just as the moon illuminated the mountain’s reflection onto a perfectly still lake. I quickly used my hands, in an attempt to shield the lens from light flare. Finally, the cars diapered into the darkness with no approaching vehicles until dawn. 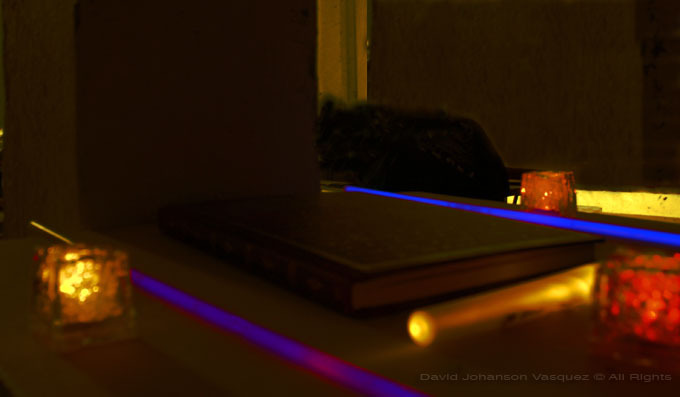 Photo-illustration of the multiple effects of light sources which can cause light pollution by unintended distraction or spill-light. Moving above the lake to find new angles for interesting compositions, I began to notice something, which I had not noticed before. Lights of various colors, were coming from photographers bellow me, created by their digital camera’s preview monitors and infrared sensors for auto focusing. With the low light-sensitive Nikon cameras I was using, their monitor lights appeared like a bright flare in my long exposure photos. Now, I had one more unwelcome light source to deal with, which required strategic timing in making exposures to avoid the glare. Again, my thoughts returned to the issues of light pollution. I remembered back home when I wanted to photograph a full-moon at night and a neighbor’s floodlight lit up the backyard. Their floodlight forced me to find the last remaining isolated shadowed corner of the yard. 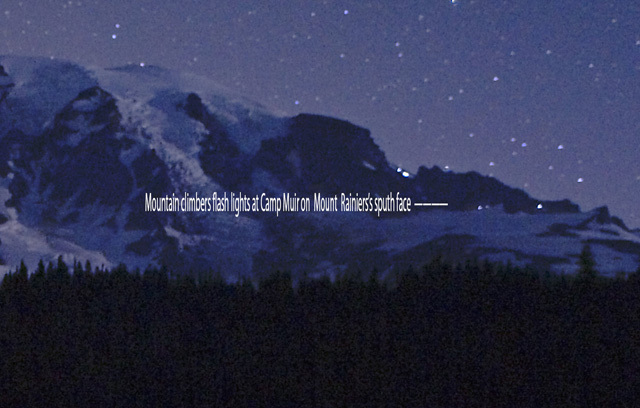 My reminiscing was cut short by a distant, but bright, pinpoint of light flashing from bellow Mount Rainier’s summit. Flashlights from mountain climbers near Camp Muir shined bright like lighthouse beacons in the semi-darkened rocks and glacier fields. Even the faintest light can shine bright at night as documented in World War II. Warships were forbidden from having any exterior lights on at night, including a lit cigarette, otherwise they could be spotted from great distances by enemy submarines. 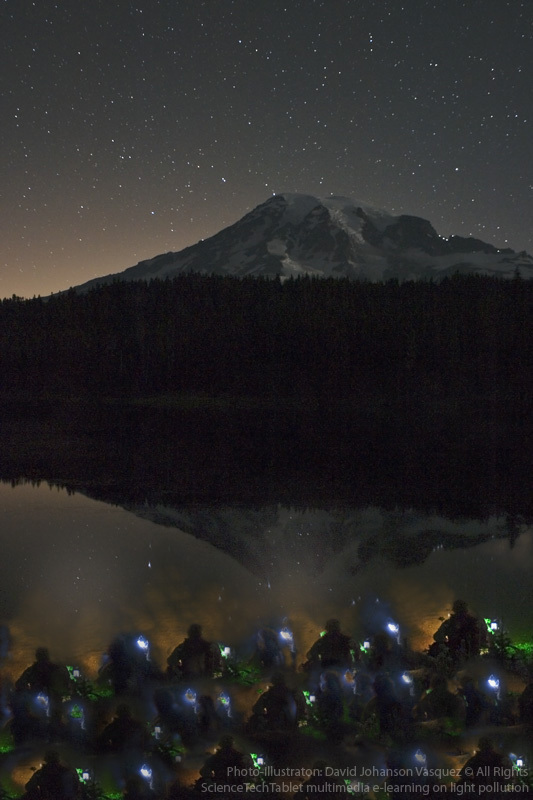 Lights from mountain climbers on the approach to the summit of Mount Ranier. The improper, overuse of outdoor lighting has erased a fundamental and connecting human experience—encountering the universe’s brilliance with its galaxies and stars shining in the night sky! Making a visual contact with our own galaxy, the Milky Way, is one of the greatest shows seen from Earth. In less than a century of civilization’s reliance on electric technology: two-thirds of the U.S., half of Europe and a fifth of people in the world—now live where they cannot see the Milky Way with the unaided eye. You can appreciate how we lost our stellar view by seeing aerial photos taken from orbiting spacecraft and the International Space Station. These startling images taken of Earth at night, reveals a man-made galaxy of artificial light, which cancels out much of the real ones in the sky above. Some years back, I was a part-owner in a small recreational ranch, in Eastern Washington’s, Okanogan County. Brining friends over from Seattle, it was often nighttime when we arrived. 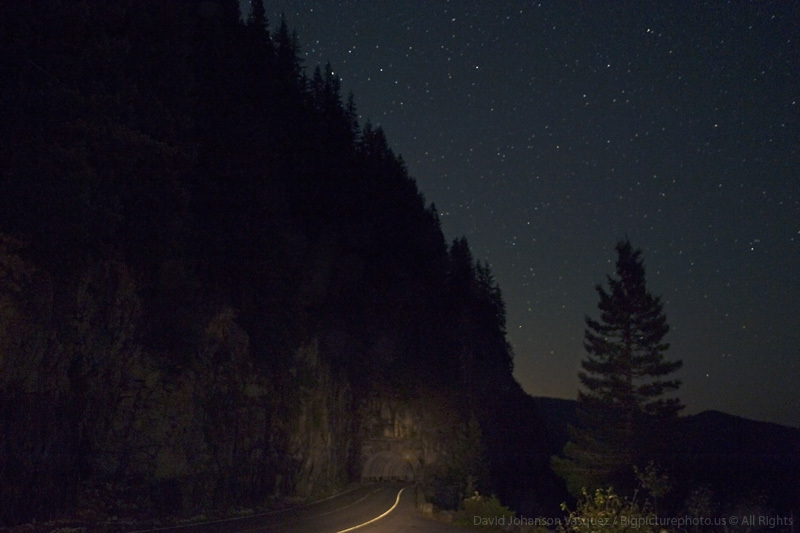 The instant of exiting the cars, was a startling event as the Milky Way’s intensity of light overwhelmed your senses. The “ranch” was remotely located, at about 5,000 feet in the mountains, near the Canadian border and 30-miles from the closest town. Days would go by where we didn’t see a car or even hear a small airplane go overhead… it was one of the most refreshing experiences of my life, to perceive nothing except wind going through trees and seeing only starlight at night for hours at a time. A television interview with the director of a major observatory in Southern California recounted when Los Angeles had its last electrical blackout —people were calling 911 and his observatory, reporting of strange, bright objects in the night sky. Actually what the callers were seeing for the first time, was the natural light from intensely shining stars of the Milky Way. 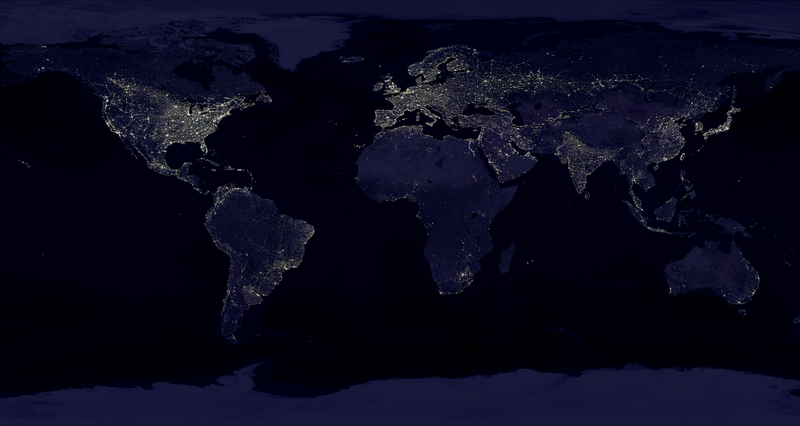 Besides forfeiting a life inspiring, wondrous view of the cosmos, there’s tangible losses associated with light pollution. Conservative estimates are 30 % of U.S. outdoor lighting is pointed skyward in the wrong direction, which wastes billions of dollars of electricity. The unnecessary practice of lighting clouds, burns more than 6 million tons of coal, which adds harmful greenhouse gas emissions, along with toxic chemicals into our atmosphere and water. Further scientific studies indicate wildlife is suffering the ill effects of excessive urban lighting. The City of Chicago has taken measures to turn off or dim its high-rise lighting to enable migrating birds to continue normal migration patterns. An increase in species of insects attracted to light, along with rodent attraction to bright city lighting is a growing concern to many scientists. Heavy equipment product shots never look quite this good. Scheduled improvements to the viewing area above Reflection Lake, had some equipment taking a nap, before going to work when the sun came up. The reason light pollution has continued to multiply is, we have grown accustomed to its seemingly benign expanding presence. After all, probably no one can point to a single case of a person killed from overexposure to light pollution? However, there is a correlation to growing health risk associated with overexposure to artificial light in the form of physical fatigue and damage to eyesight. 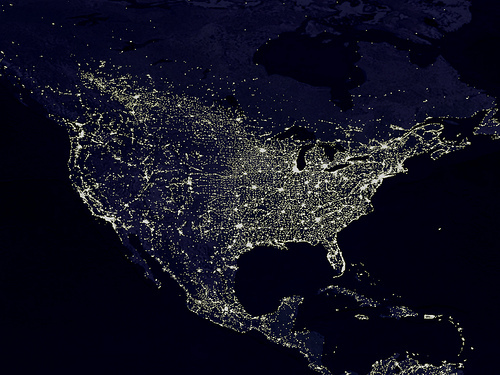 In 2009, the American Medical Association established a policy, which supports the control of light pollution. Municipal lighting codes are beginning to help define and eliminate unnecessary light pollution. Lighting enforcement can create a more pleasing environment, by reducing excessive urban lighting, which causes fatigue from glare and cuts down on unnecessary electric utility cost. Redirecting outdoor lighting away from the sky where it is needlessly wasted is a simple and easy solution. Installing motion detector security lights are another efficient and productive mitigation strategy. For security purpose, a light which is triggered by motion is much more effective for crime prevention than a continuous floodlight. Motion detector lights have a clear advantage of focussing our attention onto an area where there’s a sudden change from darkness to bright-light. The Milky Way is what we should be able to see at night if it was not for unrestricted light-pollution. 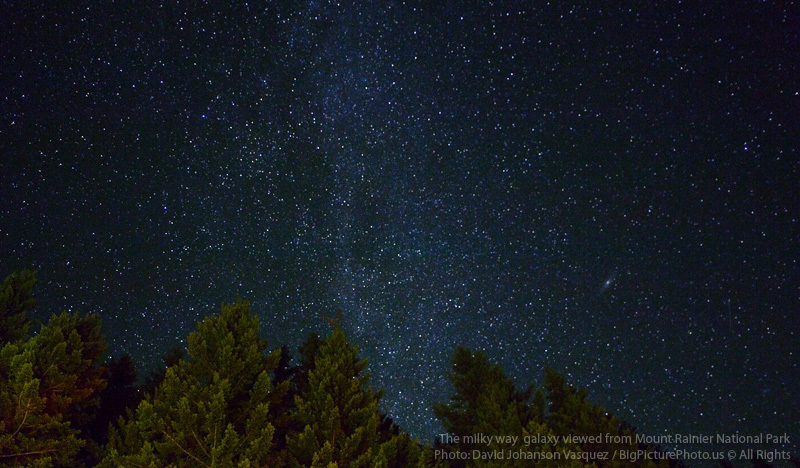 You can see the Andromeda Galaxy in the right 1/3 of the frame. Nikon D700 – Nikkor 28mm lens @ F3.5 @ 20 seconds August 11 11:48 p.m.
Urban Sky glow: the brightening of night skies over municipal and communities. Caused primarily from collective reflected light and poorly directed light, which is pointed upward. Light trespass: light falling or spilling into areas where it is not intended. Also know as “spill light” such municipal streetlights, which go beyond indented illumination of street signs and sidewalks and lighting residential homes. Glare: A direct, bright or harsh light, which causes discomfort or pain. The effects of glare can be reduced or eliminated with the use of a shield or filter. Uplight: Light angled inappropriately upward towards the sky and serving no purpose. Uplift washes out the night sky and reduces opportunities for astronomers and stargazers to enjoy the beauty of the planets, moon and stars. There’s Nothing New Under the Sun, or is There? Space Weather Prediction Center and the U.S. Air Force. hours. There are currently 7 numbered sunspot regions on the disk. than 2 MeV at geosynchronous orbit reached a peak level of 2710 pfu. Please note: This essay is a follow-up from my chronicle on solar storm effects of the 1859 Carrington Event on an industrial era society— forward to the postmodern, microelectronic world of today. To better understand the context of this article, it’s suggested you view my introduction solar storm essay found by selecting the March 2012 archives found on left side of this page. The National Academy of Sciences (NAS) (funded by the U.S. Congress) produced a landmark report in 2008 entitled “Severe Space Weather Events— Societal Impacts.” It reported how people of the 21st-century depend on advance-technology systems for daily living, The National Academy of Science stated— Electric power grids, GPS navigation, air travel, financial services and emergency radio communications can all be knocked out by intense solar activity. A century-class solar storm, the Academy warned, could cause twenty times more economic damage than Hurricane Katrina. Some leading solar researchers believe we are now due for a century-class storm. You’re encouraged to help make the essay interactive by entering comments or observations in the dialogue box at the end of the essay. 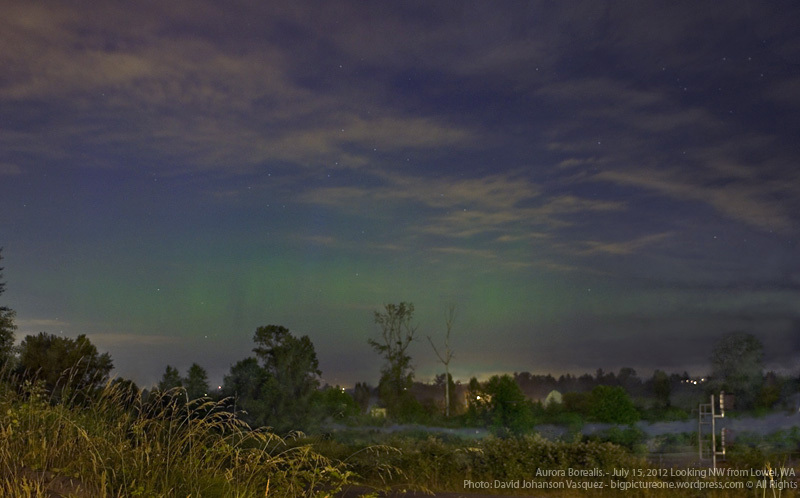 July 15, 2012 aurora borealis sighting near Everett, WA. This event was caused from an X-class solar storm, which occurred within a week of another X-class storm (X-class being the most severe classification). The 11-year solar cycle is approaching a solar maximum around 2013, this will most likely bring more intense solar storm activity. Depending on your interpretation of the essay’s title, there is nothing new under the sun when it comes to our neighboring star’s behavior. Since our Sun left its infancy as a protostar over 4 billion years ago, by triggering a nuclear fusion reaction and entering a main-sequence stage, its solar mechanics have maintained relative consistent patterns. What has not remained the same is the evolution of life on Earth, in particular, our species’ development of a civilization which now is dependent on a form of energy called electricity. Our Sun is now playing a version of solar roulette with the World’s social and economic future. The name “aurora borealis” was given by Galileo Galilei, in 1619 A.D., inspired from the Roman goddess of dawn, Aurora, and Boreas from the Greek name for north wind. First record siting was in 2600 B.C. in China. Collision between oxygen particles in Earth’s atmosphere with charged (ionized) particles released from the sun creates green and yellow luminous colors beginning at altitudes of 50 miles (80 kilometers). Blue or purplish-red is produced from nitrogen particles. The solar particles are attracted by the Earth’s northern and southern magnetic poles with curtains of light stretching east to west. Reaching back only a few generations into the 20th Century, electricity was considered a luxury—today ordinary life would be impossible without it! And that’s where our beloved Sun comes into the picture, to potentially cast a shadow on our dependency of electricity. Solar storms have been a reoccurring event before time began, but they didn’t affect people outside of providing a fantastic, special effects light-show until a critical event happened in 1859. 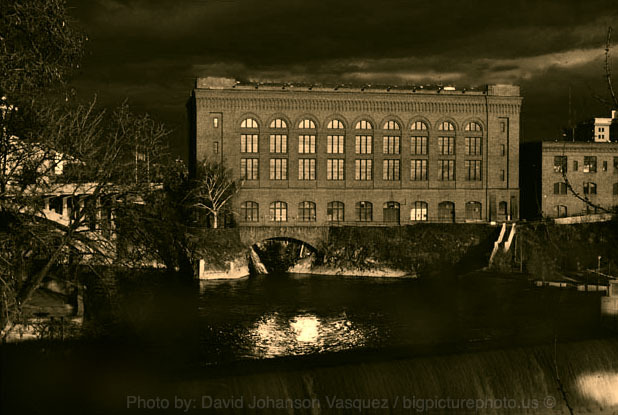 In the mid 19th century, while the industrial revolution was near full development, the resource of electric power was first harnessed. Shortly after electricity was put into use for communication using telegraph technology (a 19th century equivalent of the Internet), is when the Sun revealed a shocking surprise in the most powerful solar storm ever recorded, which was known a the Carrington Event. The year 1859 was near a peak in the Sun’s 11-year solar cycle, when the Sun’s polarity readies for reversal. Approaching the end sequence of this magnetic shift, brings a solar maximum , which produces violent solar flares and ejects plasma clouds outwards into space. If the flare occurs in a region opposite of Earth, a Coronal Mass Ejection (CME) may send a billion-ton radiation storm towards our planet. Fortunately, the Earth is protected by a robust atmosphere and a magnetic field surrounding the globe, which protects us from most solar winds. However, an intense solar storm with its charged plasma cloud can overwhelm our planet’s protective shields. When an extreme solar storm’s magnetic energy counteracts with our planet’s protective magnet field, it creates geomagnetic induced currents (GICs). GICs are massive amounts of electromagnetic energy which travel through the ground and ocean water, seeking the path of least resistance in power lines, pipe lines and rail tracks. In the 1859, Carrington event, the GICs surged through the world’s emerging global communication system,known as the telegraph. So much power was generated from the solar storm entering the Earth’s atmosphere, it sent massive currents through telegraph wires, catching offices on fire, nearly electrocuting operators and mysteriously continued sending signals with batteries completely disconnected. 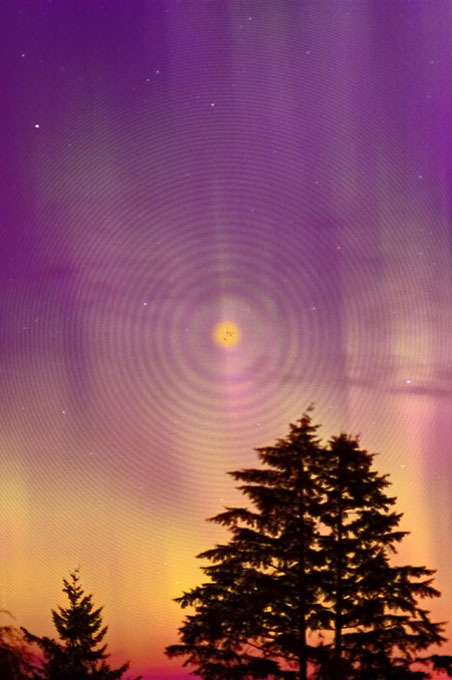 A visual indication of the Earth’s magnetic field being overwhelmed occurs when the aurora borealis appears. If the cosmic-light-show can be seen near the tropics, it’s an indicator our planet’s magnetic fields are severely being overrun. In the extreme solar storm of 1859, the aurora borealis was seen near the equator and it was reported people were able to read newspapers outdoors at midnight. Navigational compasses (19th century version of GPS) throughout the world spun-out-of-control due to the flux of electromagnetic energy. 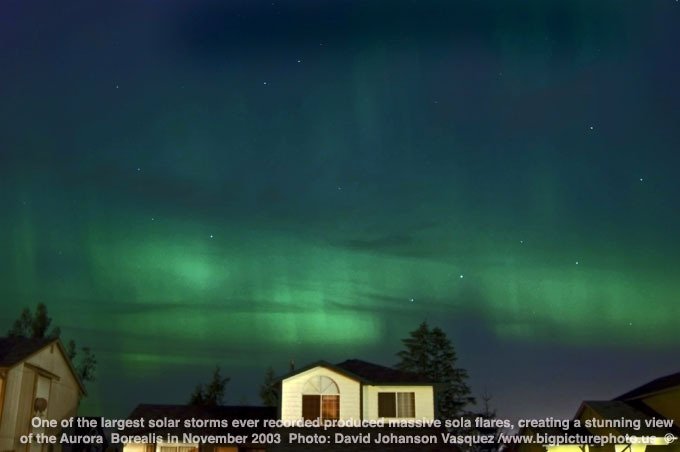 A more recent, dramatic example of a solar storm’s impact is the 1989, Quebec-Power blackout. The geomagnetic storm created was much milder than the solar maxim of the 1859, Carrington Event. However, it’s a chilling preview of what a complex, unprotected electrical grid faces when up against the forces of super solar storm. 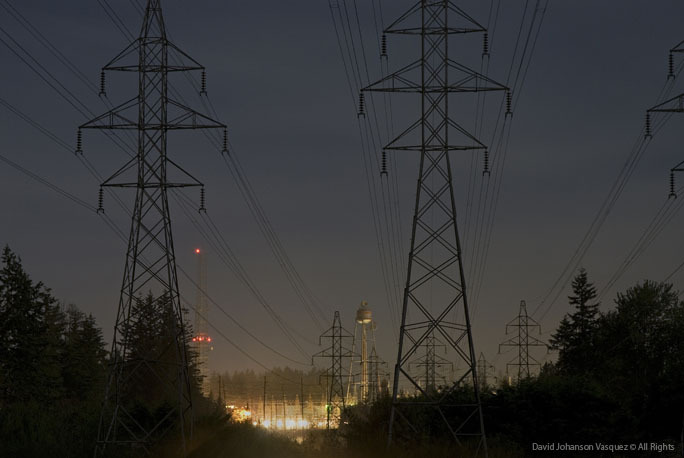 Quebec-Power’s large transformers were fried by the GICs overloading its grid network. Electrical grids and power-lines act like a giant antennas in pulling in the massive flow of geomagnetic energy. In the 1989 solar storm incident, over 6 million people lost power in Eastern Canada and the U.S., with additional connecting power grids on the verge of collapsing. Again, the powerful 1989 solar disturbance was not the 100 year super storm, but a small preview of what can if preparations are made to protect the power grid. Solar scientist are now able to put together how extreme storms follow an 11 year solar maxim cycle, like the one we’re now entering, and should peak sometime in 2013. Already this year, six major X-class solar storms, the most intense type, have occurred since January. Within one week of July, we had two of the X-class storms, with last one pointing directly at Earth. On July 13, 2012, the Washington Post’s Jason Sometime, wrote an article with his concerns on how NASA and NOAA were sending out inconsistent warnings about the solar storm from July 12. The companies and the federal agencies mentioned in this essay, are overall, considered highly respected and cautious in forecasting major threats to societies and national economies. All of the mentioned government entities and scientific organizations realize it’s not a matter if, but when will the next super solar storm be aimed and sent to Earth. — Update on U.S. House of Representatives and Senate sponsored legislation for solar and geomagnetic storm preparedness. — Electric power industry mitigation and preparedness for solar and geomagnetic storm preparedness. Chronicles of the largest solar and geomagnetic storms in the last 500 years. 1847 — First geomagnetic storm caused by solar flare inadvertently documented with telegraph technology. Reports were the telegraph system was sending clearer signals by disconnecting its batteries and using the geomagnetic energy from the storm. First published affects caused from geomagnetic storm. 1859 — Becomes known as the “Carrington Event;” telegraph system becomes inoperable worldwide as reports of offices are set on fire from supercharged telegraph wire. This is the largest geomagnetic storm in 500 years. Scientist impressed with the event begin documenting future solar storm activity. The destructive power from a storm of this magnitude would devastate global power grids, satellites, computer and communication systems. 1921 — Know as the “Great Storm,” it impacted worldwide telegraph and radio signals with total blackouts and cables were burned beyond use. This scale of geomagnetic storm is likely to occur approximately once every 100 years. As we approach a century mark since this type of storm took place — it’s possible another one could happen at anytime, with devastating results unless preventative measures are taken. 1989 — Major solar flare erupts on surface of the Sun opposite of Earth; a resulting solar storm trigers a massive geomagnetic storm, which overwhelms Quebec’s power grid. As a result of the storm, six million people instantly loses power as U.S. Northeast and Midwest connecting grids come within seconds of collapse. As a result, Canadian government becomes proactive and takes effort to protect its power grid from future solar storms. 2003 — Know as the “Halloween Storms” this series of geomagnetic storms disrupted GPS, blocked High Frequency (HF) radio and triggered emergency procedures a various nuclear power plants. In Scandinavia and South Africa, section of power grids were hit hard, many large power transformers were destroyed by the powerful geomagnetic induced currents (GICs). ACE — Advance Compositional Explore = NASA satellite used in detecting and monitoring potential damaging solar flares and CMEs. CME — coronal mass ejection = caused from a solar fare near the surface of the sun, which sends a billion-ton radiation storm out into space. GIC — geo-magnetic induced current = an extreme solar storm’s magnetic energy counteracts with our planet’s protective magnet field, creating electric current which conducts or travels through the ground or ocean water. Washington Post story on conflicting NASA and NOAA solar forecast warnings for the July 12, 2012 solar storm event. My solar storm articles from February www.bigpictureone.wordpress.com and in the March addition of www.ScienceTechTablet.wordpress.com present a comprehensive picture of how solar flares and solar storms originate, with the potential of producing geomagnetic storms on Earth. If these geomagnetic storms are severe enough, they can threaten our way of life. Some strategies and common sense precautions are offered for civic preparedness in the case of an extreme solar event. New Brain-Based Learning Strategies Explored — To Help Achieve Your Full Potential. Will The Next Jet Airliner You Fly Already Be Obsolete, And Ready for Early Retirement? The Environment, our Earth’s Lost Frontier? Daring to Live in Love! Khan Academy – recommend free E-learning for: Science, Technology, Math & much more… Excellent free video tutorial resource for students of all ages, teachers and adult learning. This gateway site has thousands of easy to follow videos on essential educational subjects. Telling stories through words and images.